Bounded to the north and east by mountain chains, and to the south and west by the Great Sea, Beleriand and the lands to the north were the setting for much of the Silmarillion. Originally, the name 'Beleriand' applied only to the country around the Bay of Balar, but as time passed the name came to be given to the entire land. In the final battle that saw the ultimate defeat of Morgoth, Beleriand was broken and destroyed - only parts of Ossiriand in the east remained, to be renamed Lindon in later ages. 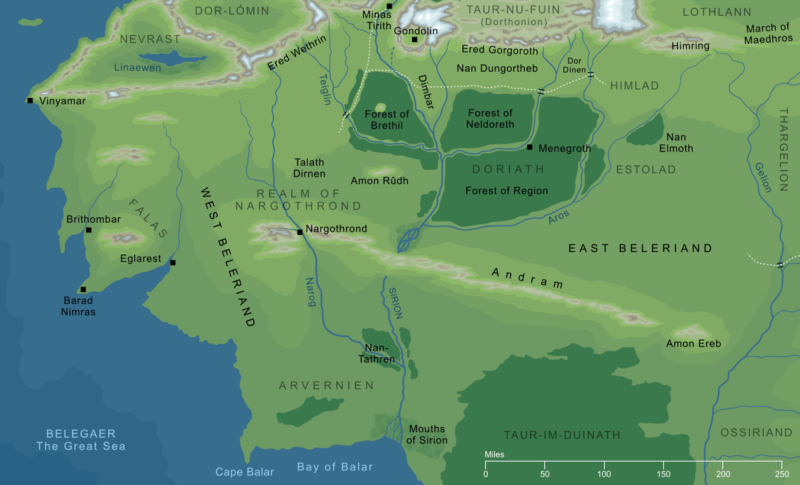 From the FAQ: Where in Middle-earth was Beleriand?